This is the last part of a brief look at the words of Jesus and what He meant by them. I saved this one for last because this is the one that most Christians explain away when it comes to making pronouncements about others sins. The TV preacher’s voice reaches fever pitch. The audience whoops and hollers amen, and the glories to God rebound off the walls of the television studio, while the overweight minister struts back and forth across the stage, wiping the perspiration from his forehead, the underarms of his Armani suit soaked with sweat. No Christian says these things, you may be thinking. But I can tell you that they do. They have put themselves in the place of God by making judgement calls against another person or group of people. People, like them, made in the image of God and highly valued by our Father in heaven. Jesus said do not judge. According to the Greek (you won’t hear that from me very often) what He is saying is that we are not to pronounce judgement concerning the words or deeds of another human. And because we can never know the whole story of a person’s life, only God has the authority to judge justly. In fact, and this may come as a surprise to my fellow Bible believers, Jesus never commands His followers to judge anyone. Then He says do not condemn, which means saying things like “you are guilty and on your way to hell.” Again, the concern of Jesus is that we do not have the whole story, and we are ill equipped to tell someone they are going to hell, because we do not have that knowledge. We are not God. Finally, he say forgive, and yes, He means everyone that ever has or ever will offend,or harm or hurt you. And He ties our forgiveness to our forgiving others. I am not so ignorant as to say just forgive and forget. As counsleor, I know that forgiveness is a process and it takes time. But if we really come to an understanding of to what extent God forgave us in Jesus, we will make every attempt to forgive. We need to admit to ourselves that we are forever broken, and sinful. That was the whole point of Jesus dying on the cross. 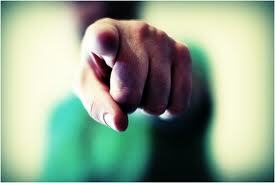 And if we see ourselves in truth we truly have no right to cast judgement or condemnation on anyone else. “Take the plank out of your own eye first” Jesus says…then you can judge rightly. Well to be honest I have a whole lumberyard in my eye so it is going to take me a lifetime and beyond to be able to judge. Our judging and condemning has corrupted the Gospel and has driven many form the God of love and grace. May God continue to extend grace to His church and bring us to repent of our treatment of others. May He teach us how to truly and honestly love. Have we substituted a standard/ doctrine/ beliefs for God? I am called to love God and love neighbor. I am called to point people to Jesus. But I often feel we lift the standard of our beliefs and doctrines for other people to see rather than Jesus. Don’t know if that makes any sense. I think it is so sad that many cannot see the loveliness in others, whatever and whoever they are. Love conquers all and,in the end, is all that matters. We are made in the image of God, and, if we looked at others through God’s eyes there would be so much less hatred in the world. Thank you, I it is my prayer that especially those in the church in America begin to see the damage we have done and begin to love people. The Gospel is infused with love not hate. I just found your blog through “Christians Tired of Being Misrepresented” on Facebook. So glad I took the time to read. I’m looking forward to catching up on your other posts.